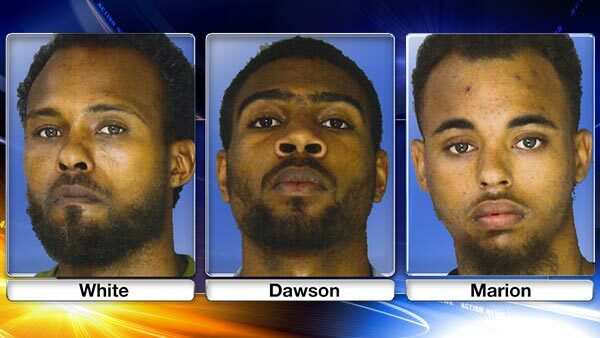 MORTON, Pa. (WPVI) -- Three men were arrested for the attack on a postal carrier in Delaware County that happened back in January. Mark White, Derek Dawson and Joseph Marion are all charged with the assault in Morton. The Pennsylvania Attorney General said the postal worker was punched more than 10 times after being confronted by his alleged attackers. The AG said it started when one of the suspects asked the postal carrier why he was blocking the road with his mail truck. Each of the three suspects remains behind bars.